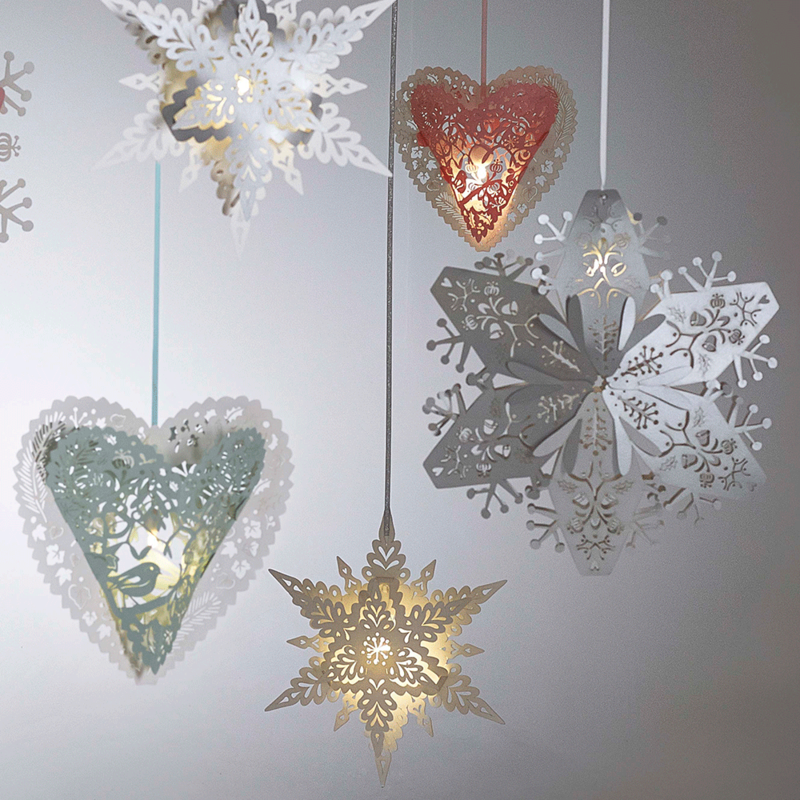 Create a Winter Wonderland with our sparkling white Deco snowflakes designed to complement any other decorations and accessories in our laser cut Christmas Collection. 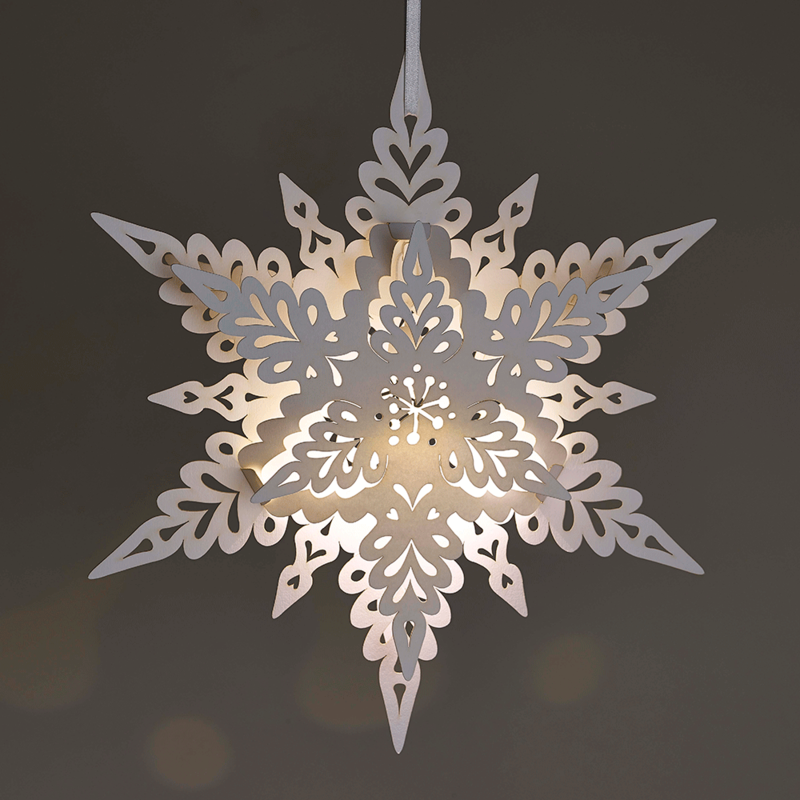 Fusing modern curves with a unique snowflake design, these white snowflakes look great in amongst the other snowflake designs and should be hung at varying heights throughout your wedding venue or home to create a natural effect. Use the tabs to slot together each white snowflake lantern and place the enclosed Buttonlite inside to add a warm glow during the evening. 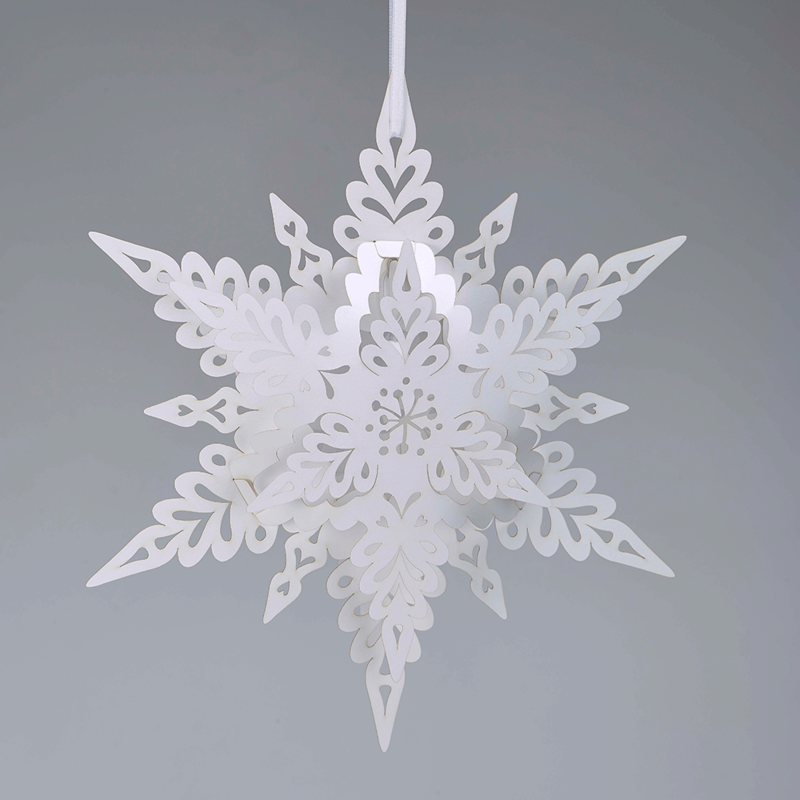 Each white Deco snowflake measures W36cm x H32cm x D6cm and comes on a length of white ribbon for hanging.